Purchased a Karbonn Smart A10 (White) Dual SIM Android - The hand-held very bad earphone accessories. The Internal Memory is too low. Only 1 application download can be used not more than that. Karbon a10 is an awful phone. ttheir ad trapped me into buying it I paid over Rs6000. It'sbattery does not last even for 15 mints. I am one of those unlucky ones who is saddled wwith one. 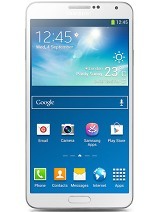 I wouldnt compare it with any other phone . battery , head phones as well as other carbonn accessories are really poor . internal memory is very low but then it was on the cover i should have read it ..
battery back up & internal memory are very poor.. I had purchassed A10 on Aug2015..but battery very poor..with in 6months battery failed..customer care also not reply properly.. I pay 6000 for it,I think I m in unluckys top 10 list of god! this mobile is only trash made by karbonn! it will stop working in 1 week . guaranteed!!! Tia, 15 May 2014I m not happy from this phonei am too not happy with the phone at all. Battery prblm & internal storage prblm. Very bad phone..... because its battery backup and internal memory are very low.. So I think anybody don't buy this phone. 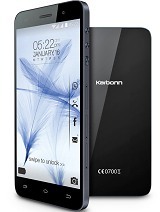 Total of 170 user reviews and opinions for Karbonn A10.